Good morning! Thought you’d like to share our St. John sunrise! Sunrise at Caribbean Palm Villa, a new listing on St. John House Rentals. Our love affair with our island burns bright all year long, but Valentine’s Day weekend is extra special. Wishing you sunny days and safe travels in 2015. Every now and then there’s a little trouble in paradise — like when outsiders come in and want to do something we think will hurt our beautiful island. Right now, St. John’s amazing community is rallying to fight a proposed large-scale marina in our beloved Coral Bay. Interested in joining the cause? And get all the latest news by liking the Save Coral Bay page on Facebook. 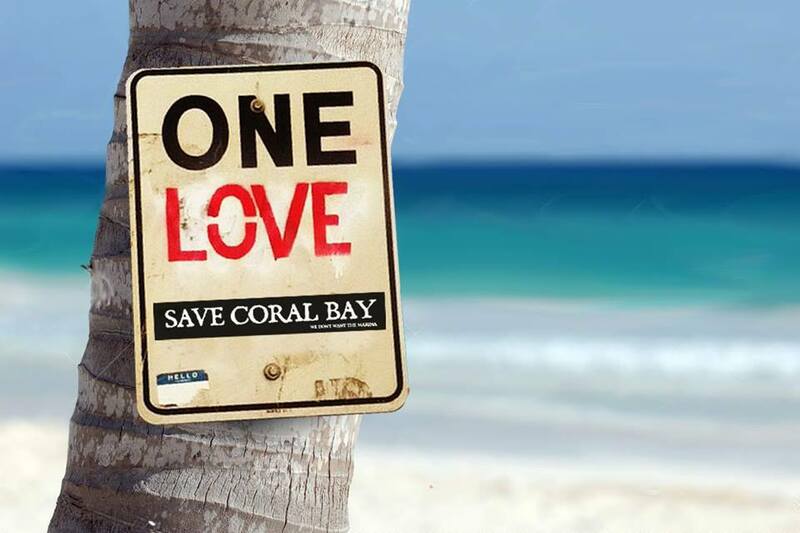 Help us save Coral Bay! The Coral Bay Commodore’s Cup Regatta is hosted by all three island yacht clubs – Coral Bay Yacht Club, Nauti Yacht Club and St. John Yacht Club. The three-day sailing event helps support the Kids and the Sea (KATS) non-profit youth sailing program. The 140th running of the $2 million Kentucky Derby is scheduled for Saturday, May 3, 2014. Spanish for ‘fifth of May’, Cinco de Mayo is a celebration of Mexican heritage and pride. The St. John Animal Care Center holds its most popular fundraiser this month, with island’s Wacky Westminster Dog Show called Wagapalooza. The event is from 5-9 pm on Saturday, May 10th in the National Park ball field across from Mongoose Junction in Cruz Bay. 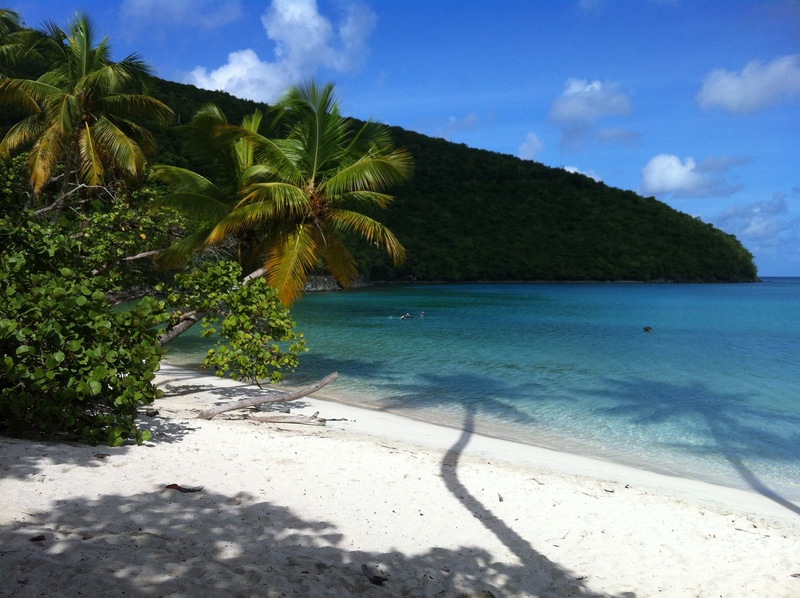 On Saturday, May 24th, 2014 Friends of Virgin Islands National Park will host the 11th Annual Beach-to-Beach Power Swim! The race consists of three courses: the short course from Maho Bay to Cinnamon Bay, about 1 mile; an intermediate course from Maho Bay to Trunk Bay, about 2¼ miles; and, the long course from Maho to Hawksnest, about 3½ miles. St. John’s very own castle. Yes, it’s for rent. Mama bake a Johnny Cake, Christmas coming! To get in the holiday spirit, island-style, you’ve got to have music. 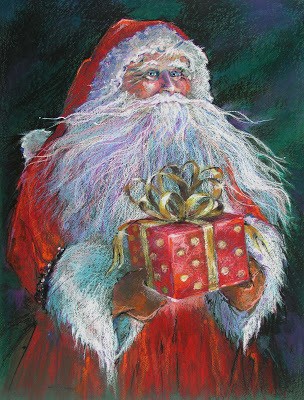 So before reading any further, click on this YouTube link to hear an appropriate soundtrack for this Christmas post. Ready? A view to be thankful for.